I bought my car new in May 2013 and reached 50,000 electric miles in October 2016 after about 3 and a half years of driving. I averaged 39 miles a day, which is pretty much how far the average person in the US drives every day. I did this without any problems. Without any delays. I never had to wait around for my car to charge. I never got stuck, my battery never ran out of juice, and I didn’t get electrocuted driving in the rain. More importantly, this is just another story, one of thousands, demonstrating that EVs meet the needs of the average driver day in and day out. How much energy did I use and how much did it cost to drive? I used 15,400 kiloWatt-hours (kWh) of electricity to charge my car for those 50,000 miles. 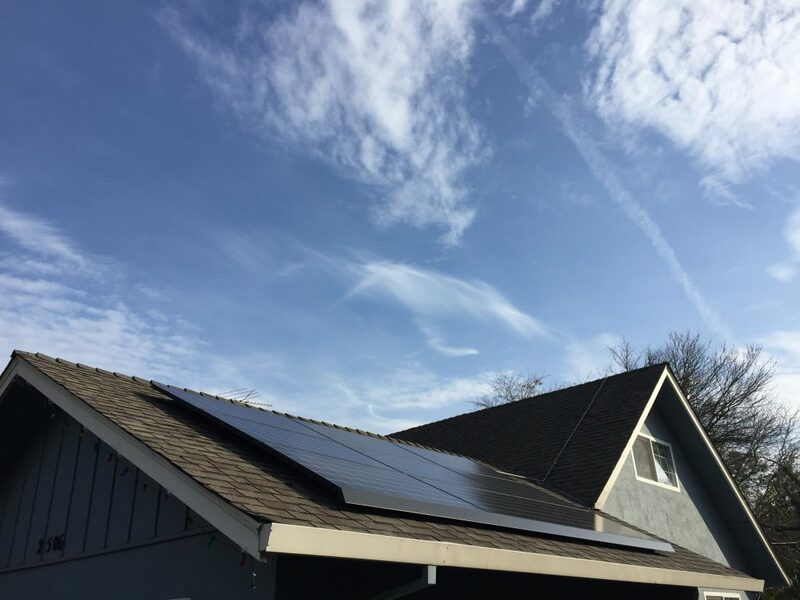 The average cost for my home electricity between 2013 – 2016 was 15¢ per kWh, so that would be $2310 to drive 50,000 miles or 4.6¢ per mile. Well below the average cost per mile to drive a gasoline powered car (about 15¢ per mile in a 25 MPG car at today’s national average price). What about efficiency? 50,000 miles / 15,400 kWh works out to 3.25 miles per kWh of electricity. How does that compare to driving a gasoline powered car? In the US we measure efficiency of standard gasoline-burning internal combustion engine cars in terms of miles per gallon. But electricity is measured in kWh, so first a word on electricity. One kWh – or 1000 watt-hours – will power a 100 Watt light bulb for 10 hours (or a 10 Watt LED bulb for 100 hours). One of the great things about electricity is that it is almost infinitely adaptable. It is one of the currencies of the modern world. It can do just about anything. Light, heat, and cool your home; Refrigerate your favorite drinks; Cook your favorite food; Wash and dry your clothes; and power your computer, television, and mobile phones. It does all of this, quietly, in the background, almost as an afterthought. And I’m here to remind you once again that it can also power your car. 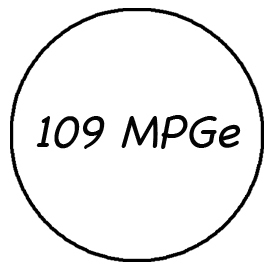 109 MPGe is pretty good for a 4,000 pound SUV. So now back to efficiency. Electric cars are way more efficient than gasoline powered cars, hands down. There are several ways to look at this, here’s the simplest: 1 gallon of gas contains the same amount of energy as 33.7 kWh of electricity. So with this figure we see that using 15,400 kWh of electricity to drive 50,000 miles in my Rav4 EV is like using 456 gallons of gas to drive that distance. That works out to 109.6 MPGe (MPG equivalent). In a 4000 pound brick-shaped SUV. Electric motors are much more efficient than internal combustion engines. Very few people know this car exists. 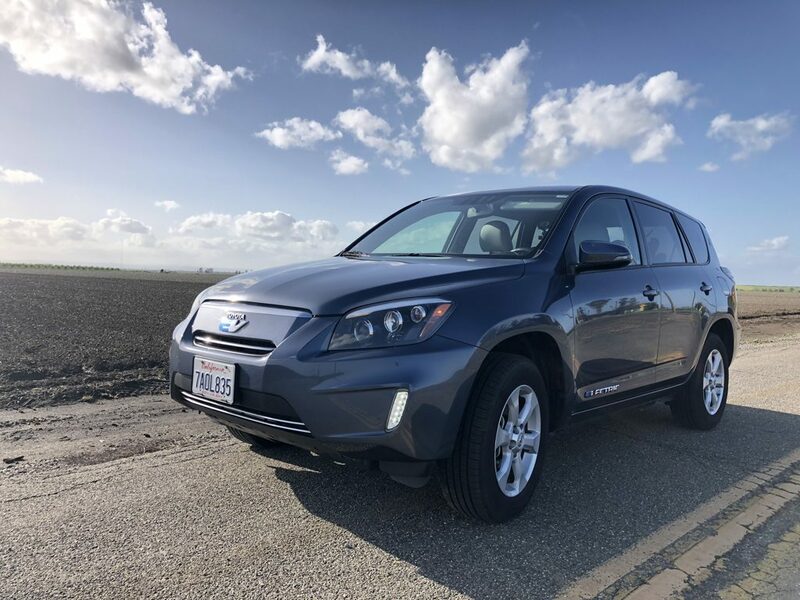 To this day I still run into drivers of other electric cars who have never heard of the Rav4 EV, are confused about it, and often insist that it must be a gas powered hybrid like the Prius. Not surprising really. That’s what happens when a car is not advertised, not promoted, produced in miserly numbers, and poorly supported by it’s corporate parents. DC quick charging is essential for longer trips in an EV. Toyota did not include a DC charging port on the Rav4 EV, but lucky for me Quick Charge Power stepped in to meet that need. Read more about DC charging here. There is Book learning, and then there is experience: Gas powered internal combustion engines are very inefficient. A typical car uses 20-30% of the energy stored in the gas to move the car forward and the rest of that energy, 70-80%, is wasted as heat thrown off by the constant gasoline-fueled explosions in the engine block. In contrast, electric cars are approximately 80% efficient at converting the energy stored in the battery pack into forward motion. That’s one of the reasons why I get 109 MPG in my EV. Now I knew this, I’d heard it and read it many times. But as I mentioned above, there’s book learning, and then there’s experience. 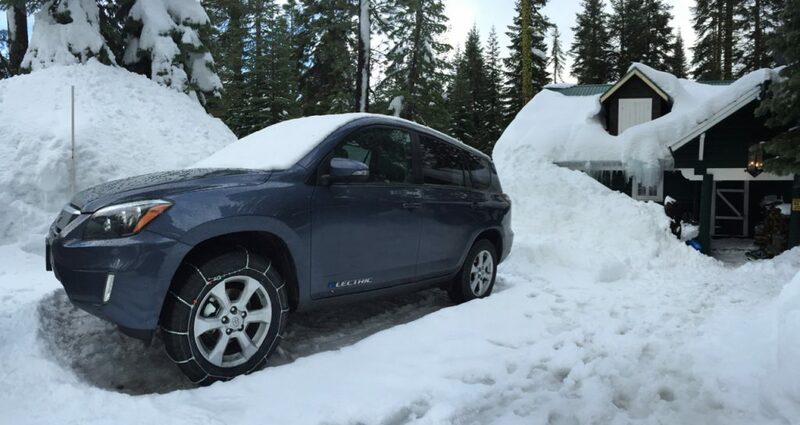 Last winter I took my EV on a trip up into the Sierra Nevadas. Along the route we had to stop and put chains on the tires. So I got down on the snow, fastened cables on my front wheels, and then helped a friend driving a gas powered car put his chains on. What a difference. His engine was throwing off so much heat it was like working next to a furnace. All that blazing heat was wasted energy. Internal combustion engines are inefficient furnaces that push your car forward. Skiing trip in the Sierra Nevadas. Driving along Route 1 north of Santa Cruz. 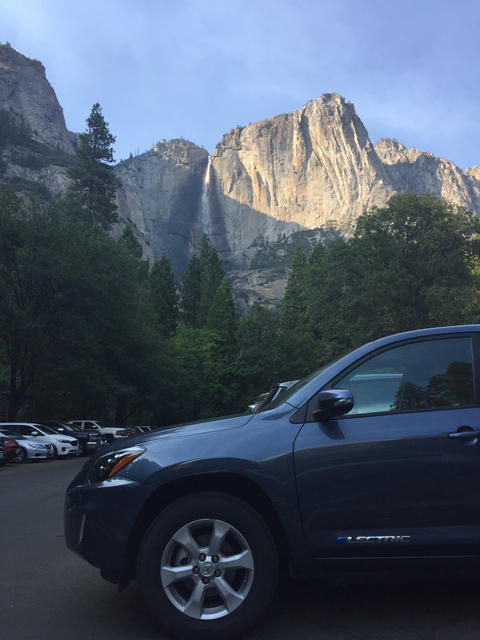 Visiting Yosemite Valley in 2017. 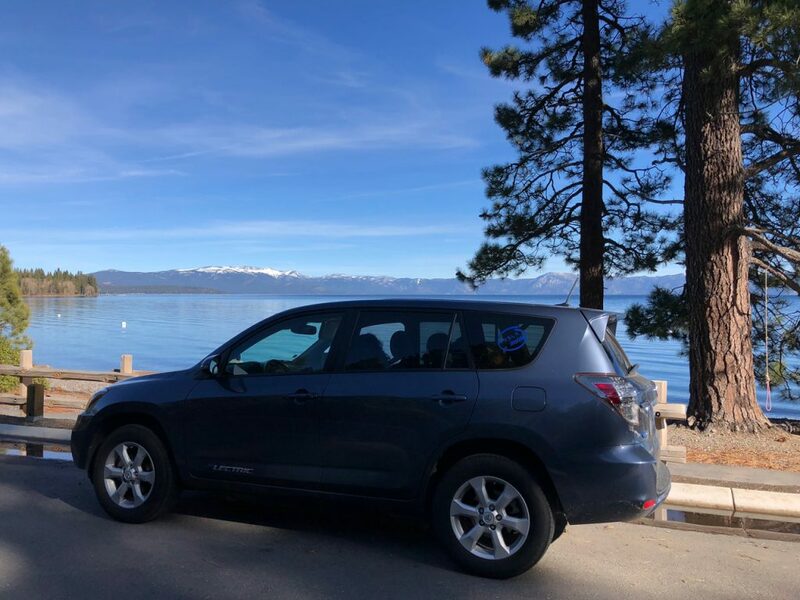 Visiting Lake Tahoe January 2018. 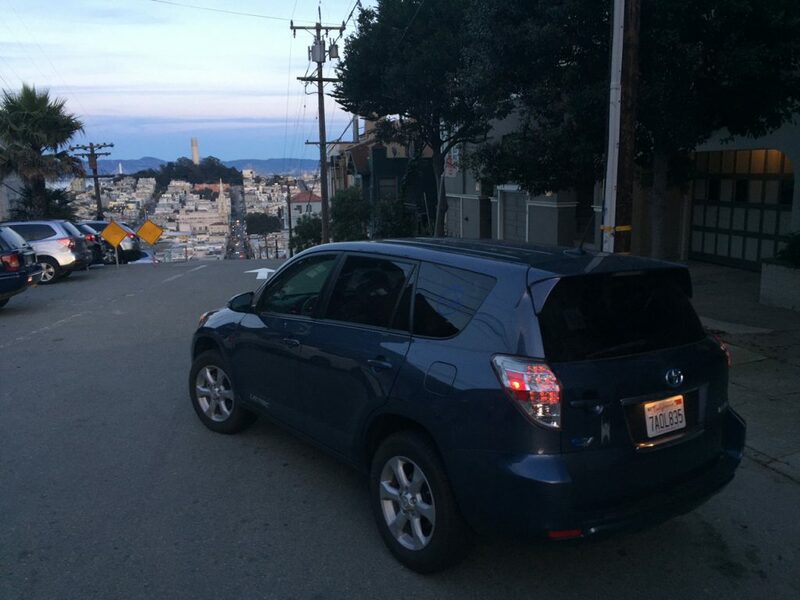 Driving the hills of San Francisco. 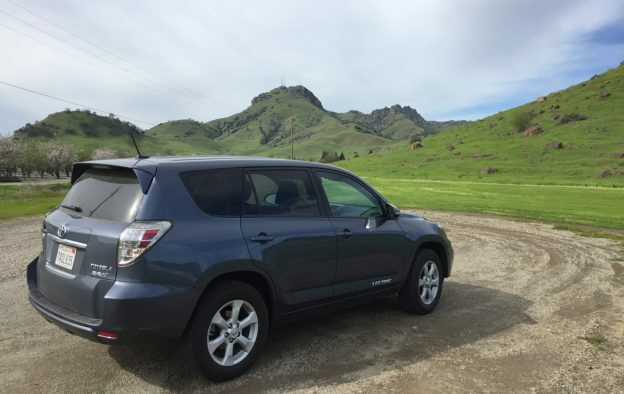 I’ve got a collection of more images from our travels in our Rav4 EV here. Rooftop solar making electricity on the roof of my house. 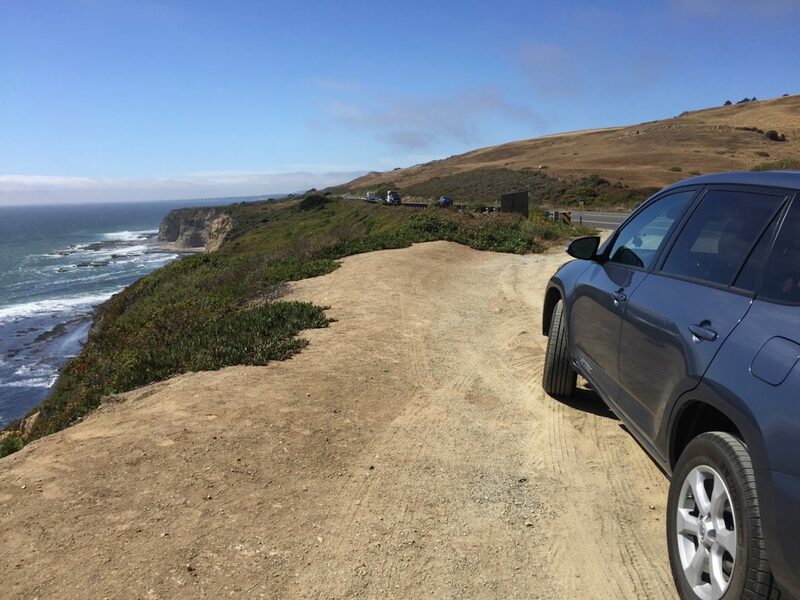 A final thought on cars: When we buy a car, we might have dreams of that perfect road trip, of driving to big cities and visiting the great outdoors. To the Grand Canyon, Mount Rushmore, Yellowstone, Yosemite, or for the adventurous, the cross country trip. And sometimes, we actually make that trip (I made a 2000 mile road trip to the Grand Canyon in 2006). But the reality is a bit more basic. The average drivers – and I definitely count myself in that group – use their cars mostly to drive back and forth to work, for weekly chores, weekend shopping, and to run family members around town. All of these trips total up to average 35 miles a day for many people. Electric cars already on the market can easily meet that need. The large scale release of electric cars beginning in 2010 included those with a range of about 80 miles**. And those cars have been making the daily trip for average folks since 2010. Of course many of you already know that Tesla has been selling electric cars that have a much longer range since 2008, and that Tesla’s nationwide SuperCharging network makes it possible to drive a Tesla electric car from New York to LA in 50 hours. While the price of a Tesla was initially high, the price is coming down with the release of the Model 3. (updated January 2019) However, as I type, longer range more affordable electric cars are coming on theThe Chevy Bolt has a range of 238 miles and a starting price of $37,500***. The long range Tesla Model 3 has a range of 310 miles, the mid-range Model 3 has 260 miles and starts at $46,000. The lower priced standard version has not been released but will reportedly have ~215 miles of range and a starting price of $35,000. The newest Nissan Leaf scheduled to go on sale in spring of 2019 will have ~225 miles of range. Other auto manufacturers like Hyundai have revealed plans to bring long-range electric cars to market very soon. Electric cars with 200+ miles of range, the ability to quick charge the car, and a growing quick charge network means that we will soon have domestically powered cars that will do the fundamental and the fantastic. They’ll take us back and forth to work every day of the year, to the grocery store, the daycare, the soccer games. But they’ll also take us on those long trips to visit family and friends over the holidays, and take us on that long-planned or spur-of-the-moment road trip. And they’ll do that using domestic energy while making far, far less pollution. In conclusion, let me state the obvious here and say that widespread adoption of electric cars is hardly a given. We face significant challenges, including well-funded misinformation campaigns designed to spread what can only be called BS. So what can we do? Keep up the good work and spread the good news. Significant progress has been made and the future is bright.